Through our guided book experience, you can select the people you want to make a photo book of, be it a special someone, family, or friends, and Google Photos will find the best shots for you and guide you to make a book—removing duplicates and images of low quality. All that’s left for you to do is make a few tweaks and place your order. 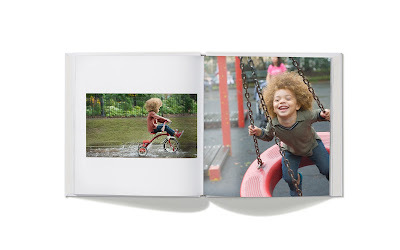 We may even suggest photo books for you by using machine learning to select your best photos. Simply open your Google Photos app, click on the three stacked lines, and go to photo books to create a book or see pre-made and customizable books created just for you, like your trip to Banff or your best memories from the summer. Photo books are rolling out today in Canada in English and French on web, Android and iOS, starting at just $17.99 for a 20-page softcover book and $27.99 for a hardcover book. This holiday season, give a photo book of those special moments in your life as the perfect personalized gift. Looking for the perfect holiday gift for that special someone? 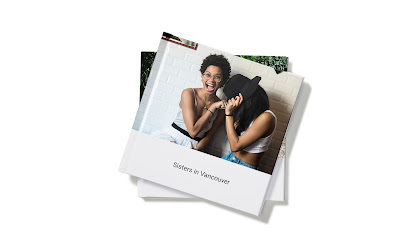 With photo books from Google Photos now available in Canada, you can share your favourite moments in a printed photo album, whether it’s the first dance on your wedding day or all the family road trips you took over the years. Holidays are a busy time and printing albums is hard work—you have to hunt across different devices and accounts, select the best from among the hundreds of shots, upload to a printing service, and arrange dozens of pages. Now with Google Photos, what used to take hours in front of a computer takes just a few minutes. Photo books are incredibly easy to make—even on your phone. They’re beautiful, high quality, with a clean and modern design. And thanks to our powerful search technology, your photos are already organized by the people, places, and things that matter.